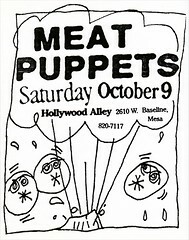 Back in the early punk rock days, it took a special kind of nerve to to post your flyers around. 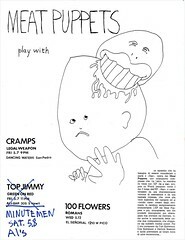 You’d be asking for trouble if you got caught putting ‘em up without permission (which you rarely got). 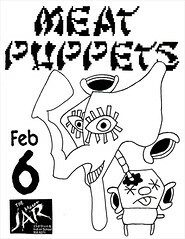 Flyering a gig was a stealth operation. 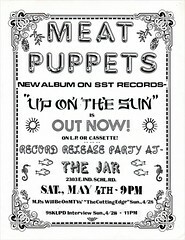 Maybe if you were lucky, the hippies at the local record store might take a stack. 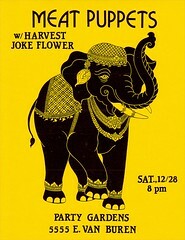 But you’d better be prepared for some wisecracks. 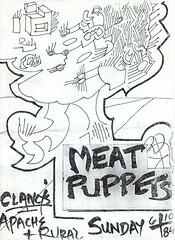 Still, it was worth the hassle. 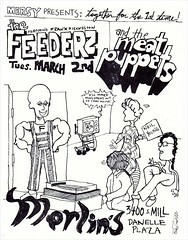 Nowadays it seems obvious, but back then the idea that a few bucks and a copy machine could net you legitimate brand identity was a real revelation. 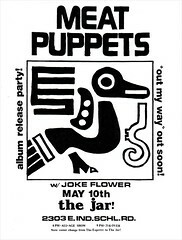 Guerilla marketing and D.I.Y. 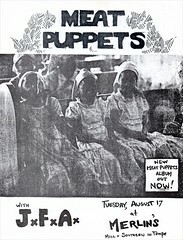 show promotion attracted a lot of us to punk in the first place. 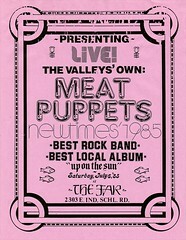 Some bands spent more time on the flyers than they did on their music. 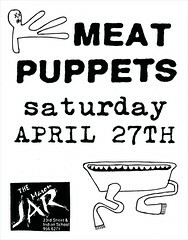 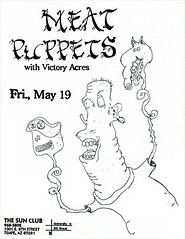 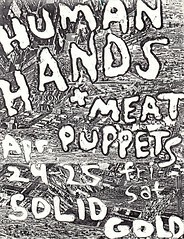 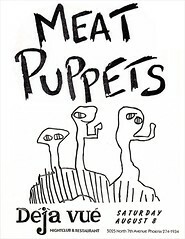 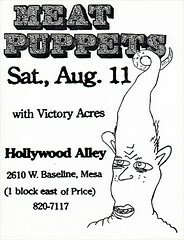 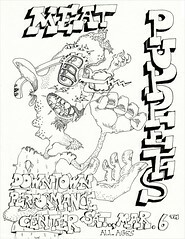 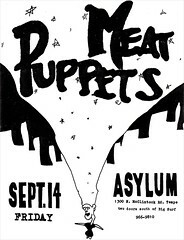 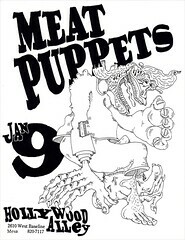 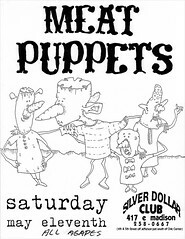 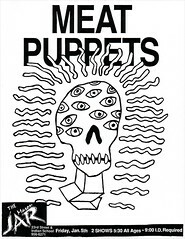 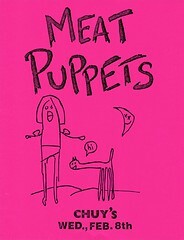 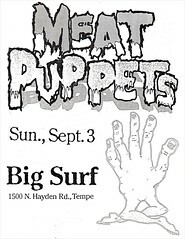 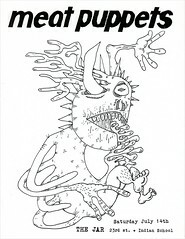 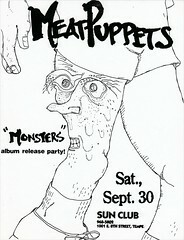 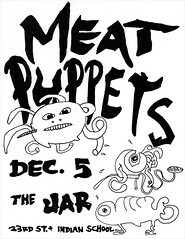 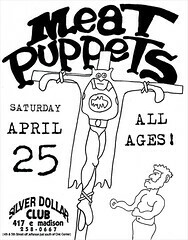 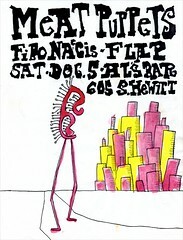 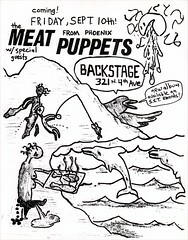 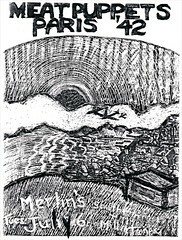 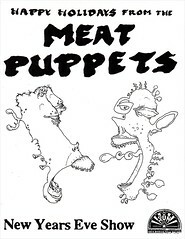 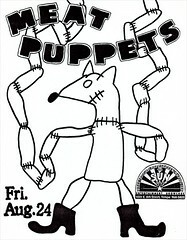 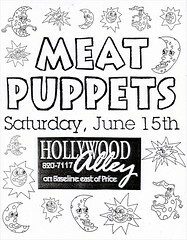 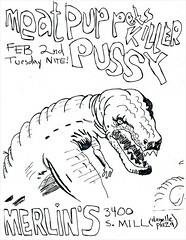 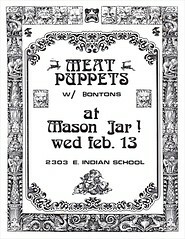 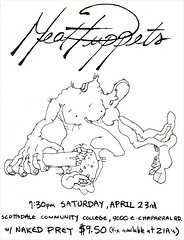 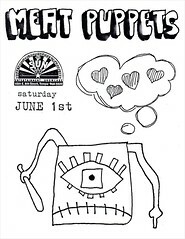 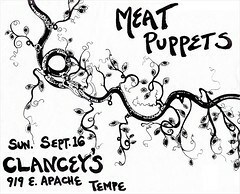 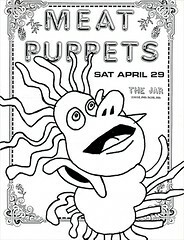 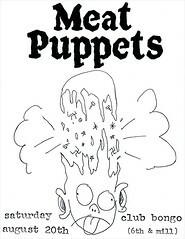 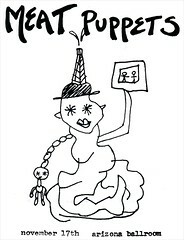 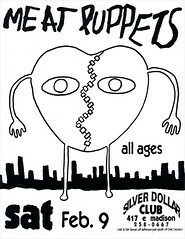 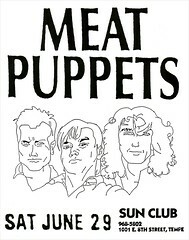 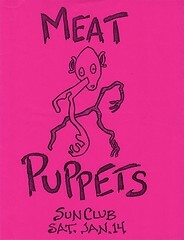 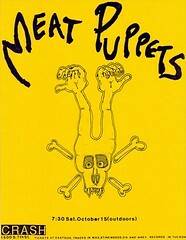 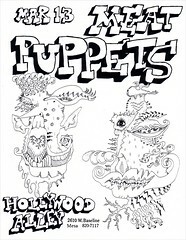 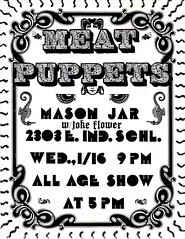 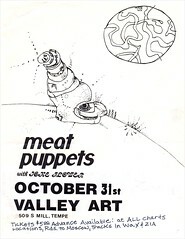 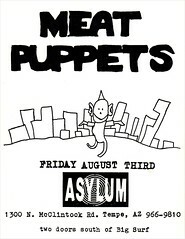 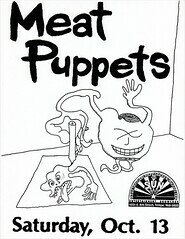 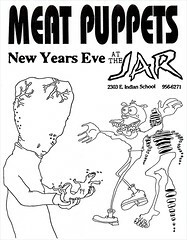 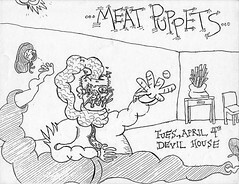 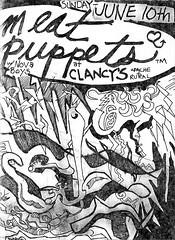 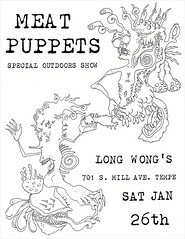 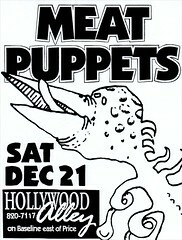 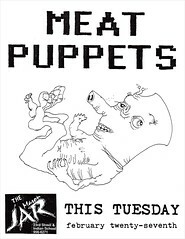 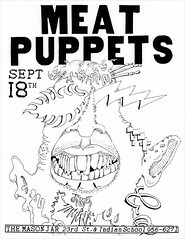 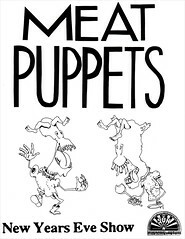 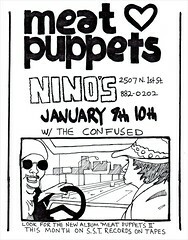 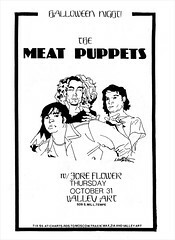 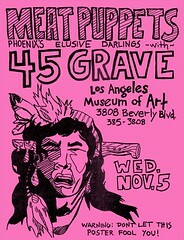 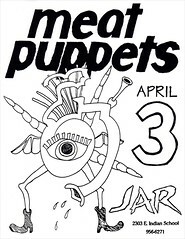 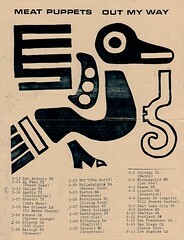 The original Meat Puppets flyers were all handmade. 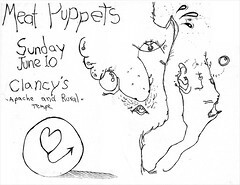 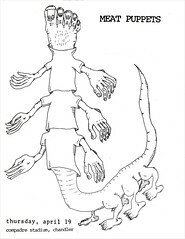 We'd just tear pages out of our notebooks, scrawl in the show pertinents and pass 'em around. 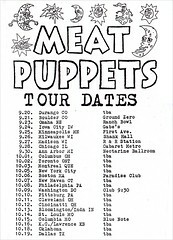 Very few of these have survived. 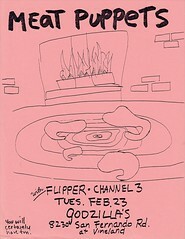 After we exhausted our notebooks, we had to come up with a new strategy. 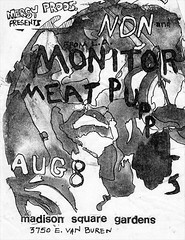 Soon, we worked out a system that allowed us plenty of room to collaborate and enough flexibility to keep things fresh, fun and eye-catching. 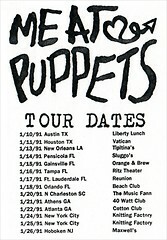 By the mid nineties, hometown gigs became a rarity as we began to spend more and more time on the road. 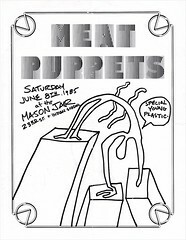 But during the lean years, we had to play in town every couple weeks just to keep ourselves in groceries. 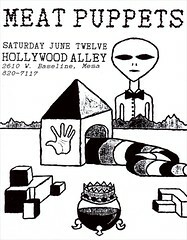 We couldn’t have survived without places like Hollywood Alley, the Mason Jar and the Sun Club. 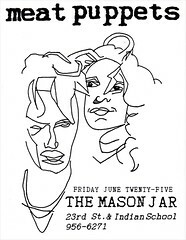 This collection is as much a tribute to them as it is to our own skill with scissors and rubber cement.